Can there be but one issue anymore? Or put all the wood behind one arrow. 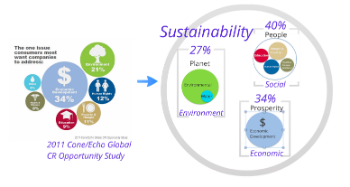 This same information, with a shift in the lens to a sustainability perspective rather than pieces and parts, unifies and integrates moving us toward the requirement of an interconnected holistic approach, using the integrated elements of sustainability strategically. The lens we use to ask for opinions and present information about those opinions can’t be the same one we’ve been using for the last thirty years . How we use information to motivate and inspire citizens and organizations of all stripes to change their consumption habits is the challenge for all of us who accept “explicit responsibility to help change the world” and who are marketers and communicators. and John Marshall Roberts on the Science of Inspiration. By: Ruth Ann Barrett, Sustainability Advocate, Earthsayers.tv, February 8, 2012, Portland, Oregon. 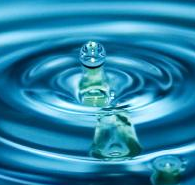 This entry was posted in awareness, cause marketing, Culture and Consciousness, One Water, sustainability, sustainable lifestyles on February 8, 2012 by Ruth Ann. SID is all about increasing sustainability awareness on the Web which is awash in information resulting in search results running to thousands of possibilities and our eyes seeing but the first three or four listings. Here’s a heat map of the results page, Google search. A listing of a YouTube video on page one of the results catches attention as shown in other heat maps. Low Awareness What search does tell us is that sustainability awareness is low. And very low in the United States. The U.S. ranks in the bottom of the top ten on sustainability search estimated at 1.2M per month globally. This is about the same number for those searching on corporate social responsibility and those wanting to know the price of an iPhone. This relates to the majority of search traffic that uses English, but does not exclude search traffic being highest on sustainability from countries such as Kenya, South Africa, Nigeria, Singapore and Hong Kong who along with Australia (#1), New Zealand, United Kingdom, U.S., and Canada make up the top ten regions. Low awareness adversely affects those selling green products as awareness is the first step in the consumer buying cycle. It makes educating, inspiring, and motivating our citizens to make changes at home and work less effective as well as it’s also the first step in the learning cycle. Awareness is very important. 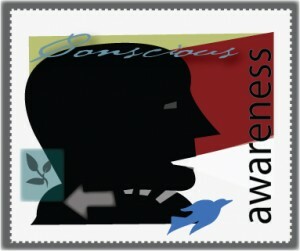 Many talk about it in terms of consciousness such as Julia Butterfly Hill who talks about disconnected consciousness. Tagging and Linking The more the term is used in the news, the more people use the term, the more people search, wanting to know more, the higher awareness. Equally important is connecting, through tagging and linking as sustainability, to other more popular search terms such as human rights (2.7M), climate change (2.2M), and global warming (2.7M). This is the stuff of search engine marketing a topic guaranteed to put most people to sleep yet key to increasing sustainability awareness. I’ve just touched on it here. Yet the very thing that increases awareness (more stuff) contributes to the problem of information overload as first introduced in 1970 by Alvin Toffler in his book, Future Shock, and now best expressed in numbers. When you search on sustainability there are 31M results. Blinkx the video search engine produces 354,000 videos, up from 121,000 since we first did this query four years ago, video still a small percentage of the content out there, but growing in leaps and bounds. A Diet for Excess The stuff we are buried in is a sea of text – reports, opinions, programs, organizations, initiatives, campaigns, projects, news, debates, speeches, panels, events, and PR releases. Not so when it comes to online video. This diet isn’t about less, but more targeted, linked, tagged video to meet the information needs of those already searching and increase awareness. Portion Control For our SID readers we will use portion control based on our collection of over nine hundred videos, aggregated then curated for relevancy and quality, to bring to your attention to how corporations, non-profits, educational institutions, and individuals are using video to help answer some basic questions, what is sustainability, a supply chain, sourcing, a for benefit organization, or concepts such as natural capitalism through speeches, panels, documentaries, art, animation, and interviews. The primary question to be addressed in Month One, February 16, 2012 of our diet plan of mostly video is What is sustainability? Videos will feature Prof. Julian Agyeman, Tufts University (38:10); Christoph Lueneburger, Egon Zehnder (3:01); Larry Merculieff (Aleut 4:52); Prof.Stuart Hart, Cornell University (1:37); Allison interviews her father Bud McGrath, CORE (audio only 10:09); Dr. Karl-Henrik Robèrt, Natural Step (5:56); and animated personalities from People 4 Earth (2:50), RealEyes (2:02), and Dassault Systems (2:50). This entry was posted in awareness, Culture and Consciousness, sustainability, sustainable lifestyles on February 1, 2012 by Ruth Ann. And make sure you are on YouTube. 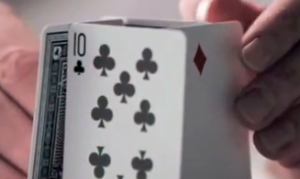 In October 2011, 201.4 billion videos were viewed online, with the global viewing audience reaching 1.2 billion unique viewers age 15 and older. Google Sites led as the top global video property with nearly 88.3 billion videos viewed on the property during the month, accounting for 43.8% of all videos viewed globally. YouTube.com was the key driver of video viewing on Google Sites, accounting for more than 99% of videos viewed on the property. Source is comScore Video Metrix as reported in MediaPost’s Research Brief, Media Research Center, Tuesday, January 3, 2012. Of course putting content out on the Web regardless whether it is text or video requires seeding the Web to increase page rankings and the probability of your content being found, viewed, and judged as relevant and of quality. 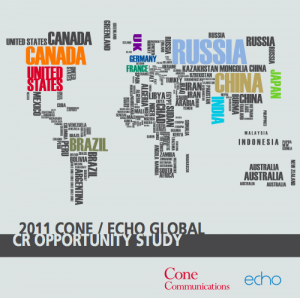 Lots of work ahead of us in 2012 to get the voices of sustainability out there and heard. We will exceed the 1,000 voices mark this month and look to 2,000 in 2012. This entry was posted in cause marketing, Corporate Sponsorshipo, Culture and Consciousness, Global Warming and Nuclear Energy, sustainability, sustainable lifestyles and tagged EarthSayers.tv, online video, voices of sustainability on January 3, 2012 by Ruth Ann. This last week had the opportunity to interview Jim Corcoran who along with the help of Gary Marschke and other volunteers in Portland, Oregon founded the Aging Artfully Initiative (AAI). This interview focused on Jim talking about the four core values or promises of the AAI, all of which can serve as an excellent example for others in the planning stages of building an interdependent community around the concept of aging artfully. Visit Earthsayers.tv, voices of sustainability. 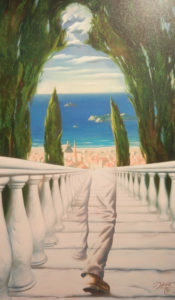 This entry was posted in Culture and Consciousness, sustainability, sustainable lifestyles on September 30, 2011 by Ruth Ann. 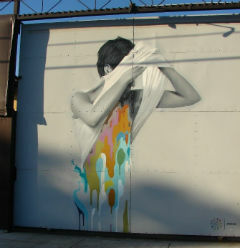 Did you miss attending the Ceres Conference 2011 in Oakland, California last May? I did and I’m sorry I missed it. Next one is April 25-26th 2012 in Boston! Government Affairs of OutDoor Industry Association, Michael McGuire, Wiser Solar Chairman, Anna Walker, Senior Manager of Worldwide Government Affairs & Public Policy at Levi-Strauss & Co., Mindy Lubber, President of Ceres and more…. Jack Ehnes, CEO of CalSTRS, one of the oldest pension funds providing retirement benefit for educators talks about investing for the long term and doing so in a sustainability framework and Ross MacFarlane of ClimateSolutions.org here in the Pacific NorthWest talks about a project they have been working on around sustainability aviation and what that industry here in the NW is doing, starting with putting their heads together to address climate change. Give a listen and be motivated and inspired by the business leaders who drive their organizations from a sustainability strategy, where sustainability is front and center, not just an initiative, program, or project. This entry was posted in Corporate Sponsorshipo, Global Warming and Nuclear Energy, sustainability, sustainable lifestyles on August 13, 2011 by Ruth Ann. That’s the good news about awareness growing. They give a nod to the effectiveness of social media in connecting egregious acts of social injustice in, say, Mexico to the shoes you are thinking about buying here in Portland. The bad news is US. Here’s an excellent interview with Dominique Conseil, President of Aveda, on changing our habits that address the US issue. This entry was posted in sustainability, sustainable lifestyles and tagged consumerism, EarthSayers.tv, Financial Times, Good Housekeeping on May 18, 2011 by Ruth Ann. A recent Pew research study which examined nine months of consumer data spanning the first three quarters of 2010, and summarized at journalism.com “sheds light on the significance of search aggregators and social networks, the importance of creating a family of related Websites, and hints at which kinds of sites might have more success with paywalls than others. The importance of linking sites with mutual interests, say all those around water, needs to be emphasized to cause-driven organizations who continue to view their Website as the center of the universe, rather than as one star among hundreds in a virtual constellation accessible to educate our citizens on becoming more conscious and aware of this one planet and its needs. We need to connect the stars for them and view their learning process as a journey, an exploration. 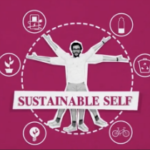 For us at EarthSayers.tv we are connecting the people around the sustainability movement and beginning to organize them into special collections around geography and issues such as water. Linking is what we do to increase awareness and adoption of sustainability principles and practices. We always appreciate when organizations link back, but few do. That’s got to change. This entry was posted in sustainable lifestyles and tagged cause marketing, EarthSayers.tv, linking, Pew Research, sustainability, water on May 12, 2011 by Ruth Ann. The hot topic these day among our business and civic leaders is not search and how it influences what we are finding to learn or buy. It’s civic and customer engagement. Unless you’re a big corporation with deep pockets how can you engage when you can’t be found? Yes, social media plays a minor role so far in search and a bigger one in terms of engagement, but searching on keywords is the first step in a buying or learning process. Many decision-makers still consider the Web too “technical” for them to understand and manage. Search, if it is managed at all, is left to individuals with the least amount of exposure to the organization’s clients/customers/students/citizens and little if any access to the organization’s strategic plans and tactical program planning. This is not the situation in large, consumer brand companies. Here is an example of the influence of search on a topic I think demonstrates how influential search results are to spinning, not crafting a story. I hope it sparks leaders to begin questioning how search works and how it may not be working for their organization or their stakeholders. What is a third grade student searching YouTube on the term oil spill seeing these days and what are they likely to click on? Why should we be concerned how search results architect knowledge and information, influencing how our citizens perceive local, regional, national and world events? Youtube is the second most popular search engine. Let’s follow up on the Gulf Coast oil spill and see what impression you are left with. 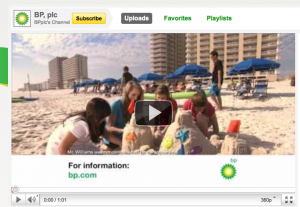 BP is in the prime spot on what is called a SERP – search engine results page – followed by the second promoted video a YouTube Channel, Vision Victory, which seems to be a real estate and financial video blogger named Daniel of crushthestreet.com. 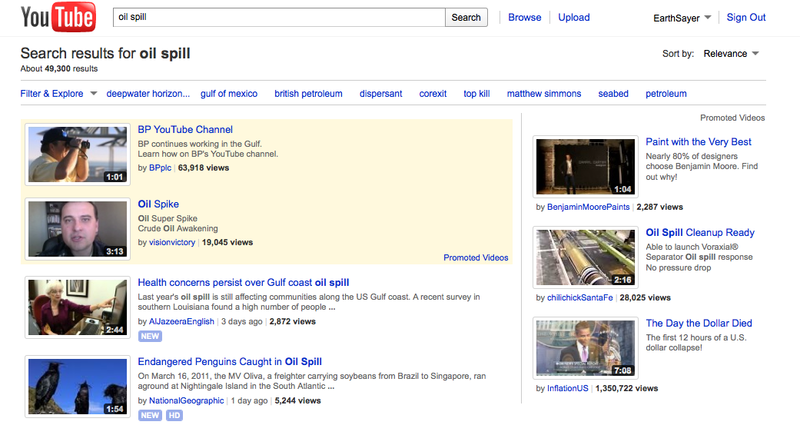 Organic (unpaid) search begins with a news report on health concerns of the spill by AlJazeera English with National Geographic in fourth place with a video about penguins and the oil spill. Check out the view numbers. How many people out there think the Gulf Coast is returning to normal? If enough people believe it, does that make it true? How reliable of a source is BP? How can you engage the third grader and the other 3.3M searchers (monthly U.S. out of 4M worldwide) when you can’t be found or seen and when searches on keywords ranging from cameras to oil spill to sustainability are increasingly being dominated by large corporations who buy their way to the top? Time to start paying attention to what’s happening with Google and YouTube search and learn what’s under the hood. This entry was posted in Global Warming and Nuclear Energy, Online Marketing SEO and SEM, sustainability, sustainable lifestyles and tagged commercialization, oil spill, search, sustainability on April 6, 2011 by Ruth Ann. One of the many Web advantages are alerts. I subscribe to sustainability alerts from the New York Times and, recently, the Financial Times. I didn’t anticipate any difference, really, in either the quantity or quality of the news alerts, but I was surprised by both the quality and the quantity. New Technology Could Make Desalination More Accessible -A Singapore company..
Data providers join forces to meet information demand – In the aftermath of the financial crisis, key data providers have all made the same bet – that in years to come environmental, social and governance (ESG) issues will be a more important part of investors’ decision-making. Reporting: Building a system – Commercial building sites are perhaps not the first places most people would look to find examples of the way IT systems and software are helping companies manage their environmental footprint and reduce waste. What became painfully obvious to me is that the lightweight nature of news stories, not only in the New York Times, but 3BL Media and their CSR Minute (they mix sustainability and CSR coverage) as well as Just Means (actually Just Means positions itself as one stop news for CSR, but mix in sustainability) are practicing business oriented reporting on what mostly boils down to what I call RADs or reports, awards, and do-good stories praising corporations for their actions. Fact is, though, if you are in the business of reporting on sustainability here in the U.S., there’s not much out there. No point in blaming the messenger unless they aren’t digging deep enough and finding those companies who are making inroads like B Corporations and non-profits such as the Textile Exchange. The messengers are reporting on what corporations are giving them as news and progress. It’s all about RADs – reports, awards, and the do-good stuff. 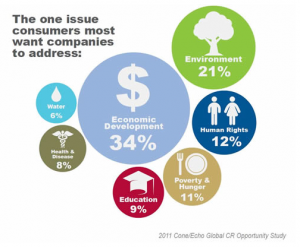 At some point, however, a U.S. focus on large companies combined with the assumption that CSR can be reported as sustainability and vice versa makes “news” more like PR spin and reporting more like marketing rather than journalism, blogs or no blogs. This entry was posted in sustainability, sustainable lifestyles and tagged 3bl Media, Corporate Social Responsibility, CSR, Financial Times, Just Means, New York Times, news, sustainability, Sustainable Life Media on April 3, 2011 by Ruth Ann.